This is a replacement S-Shape headshell for the Pro-Ject 2 Xperience SB S-Shape turntable. Pro-Ject S-Shape Headshell is supplied as standard with Pro-Ject 2 Xperience SB S-Shape. Boasting a high-gloss finish, its sturdy, higher-mass construction works perfectly with high-end cartridges. 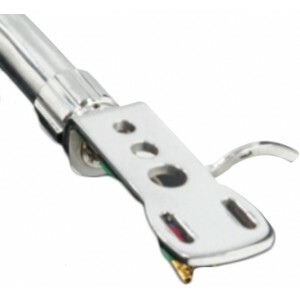 Pro-Ject Audio Systems replacement headshells are high quality headshells, suitable for standard SME mount tonearms. Each headshell in the range is created from a different material, giving it its own signature sound characteristic.